Posted on Wednesday, April 30, 2014 by "T". Day 3 of the 2014 PokerStars and Monte-Carlo® Casino European Poker Tour Grand Final Main Event (buy-in €10,600) saw 123 players returning to the tables. After several 90-minute levels of play, the field was narrowed down from 123 to just 41 players, who will battle for a seat at the final table over the next two days. Posted on Wednesday, December 21, 2011 by "T". The action at PokerStars highest stakes hasn't calmed down even though Christmas is just a few days away. 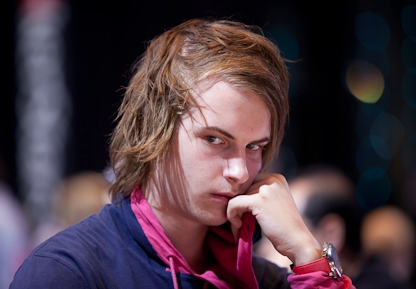 And last week we got to see Viktor "Isildur1" Blom, Ilari Sahamies and other poker wonders battle it out on PokerStars nosebleed tables. Blom made an amazing comeback on PokerStars 2 weeks ago and won an amazing $1,5 million in 2 days, which also made him one of the biggest winners this year. But Blom ran out of luck last week and lost $867,2126. A lot of money, but he's still about $500k plus this month and also one of the biggest winners. Posted on Wednesday, December 07, 2011 by "T". 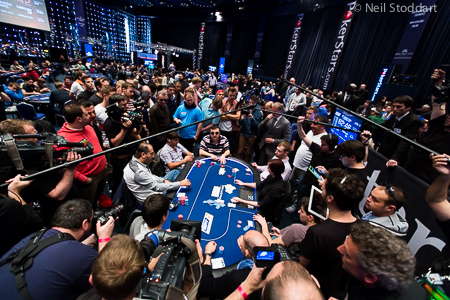 The second starting day of the EPT Prague main event attracted amazing 488 players! Add the 234 players from Day 1a to that and you'll get a new EPT main event record! Out of the 722 participants, 437 players will return to the table in a few hours time and continue the struggle. The chip leader, just like Day 1a, comes from Russia. 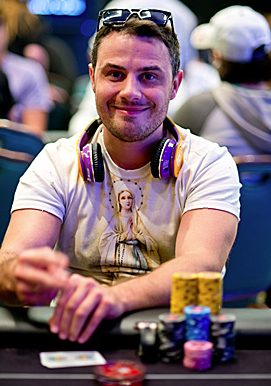 Andrey Saenko, PokerStars player, played outstanding poker during Day 1b and has accumulated 200,800 - about 20k more than Mads Wissing, from Denmark, in second place. Video: Nordic Poker Awards: Finland grabs three out of four awards! 2 days ago, PokerStars held the Nordic Poker Awards at Park nightclub in Copenhagen to honor the top players of the year from Finland, Norway, Denmark and Sweden. These were the categories and the nominees this year. Best Live Tournament Player: Peter Eastgate (Denmark), Ville Wahlbeck (Finland), Dag Martin Mikkelsen (Norway), Kristoffer "Sumpas" Thorsson (Sweden). Rookie of the Year: Mickey "Mement_Mori" Petersen (Denmark), Jens Kyllönen (Finland), Martin Gedvangen (Norway), Kristoffer "Sumpas" Thorsson (Sweden). Read more » Video: Nordic Poker Awards: Finland grabs three out of four awards!